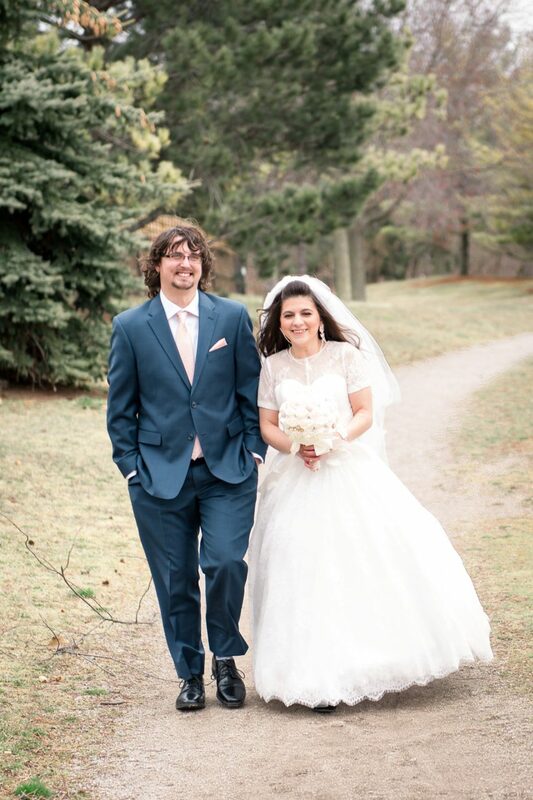 I’m so happy and excited to show you 2018 season-opening wedding pictures of two beautiful and kind people: Nyssa and Matt. 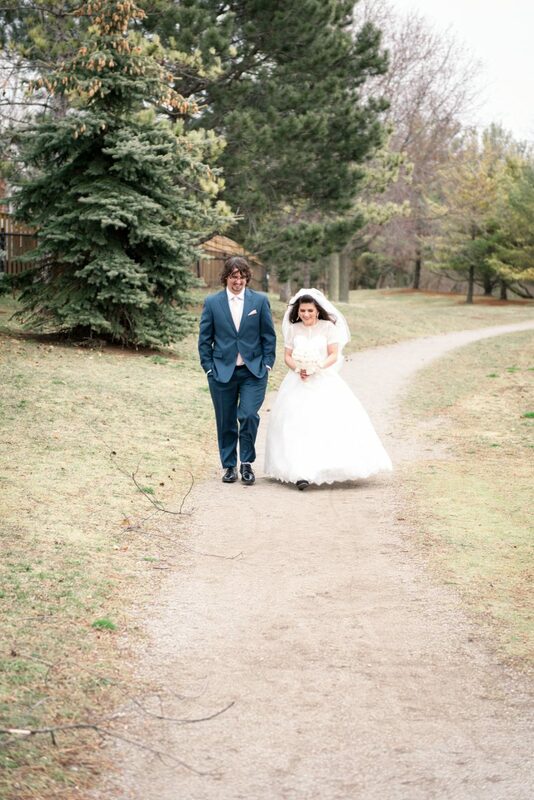 Spring (and fall) weddings can be unpredictable with southern Ontario weather. As a wedding photographer, usually couple days before the wedding I’m checking forecast updates every day to have an idea what to expect during outdoor wedding photo shoot and what to advice my couples. I was a little concerned, when on Thursday evening freezing and crazy strong wind almost took my head off and on Friday the rain was pouring the whole day. Fortunately, on Saturday, the wedding day, the weather was nice and all we had to worry about was an extra pair of shoes in case of the mug. 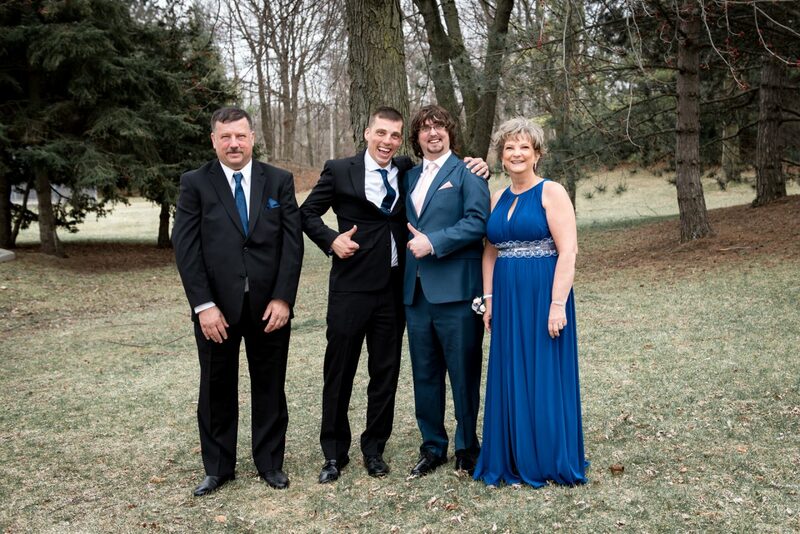 First, we took pictures of the bride and groom and after friends and family photos at the Deer Park in Oakville. I highly recommend this place for wedding photo shoots at every time of the year. You can find there a lot of evergreen trees and grass is very well-kept for the whole year. 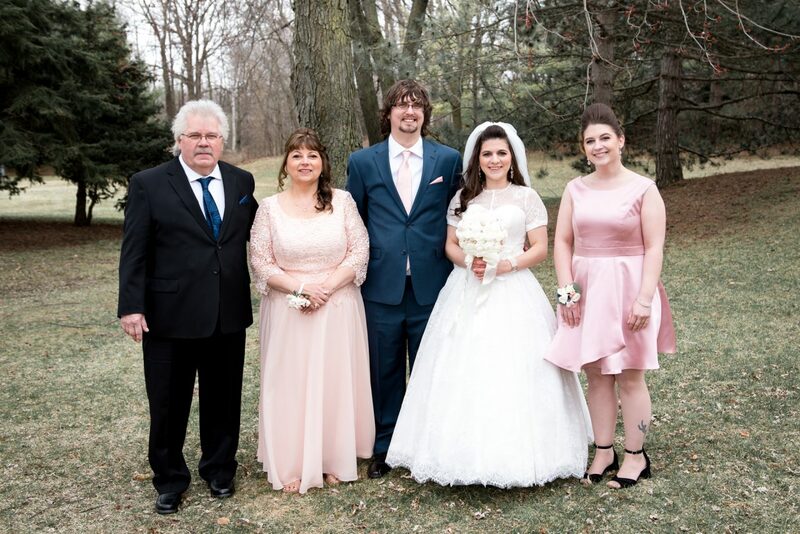 The wedding ceremony and venue took place at Otello’s Banquet Hall in Oakville. I was under impression how well-organized Nyssa was. She took care of every little detail of her wedding day. I fell in love with a frame with their pictures and dates of the crucial days of their love like “first met” and “she said yes”. There were also wedding pictures of their parents. There was a one moment of Nyssa’s and Matt’s wedding I will never forget. After speeches, dinner and cake cut DJ invited every guest on the dance floor and played Elvis Presley’s song “I can’t help falling in love with you.” You could feel in the air the pure happiness, respect, and tones of love. It was a very moving moment and I hope you can tell from the pictures that show what celebration was about – the love they share for one another.